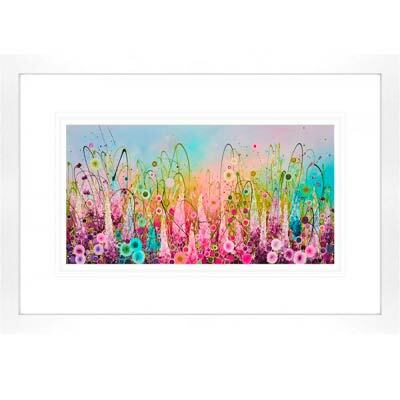 Chasing Rainbows, from her collection of limited edition floral prints. New to the gallery. It is presented as a hand embelished print, mounted and framed. The artwork is all signed and numbered by the artist. Certificate of Authenticity. A stunning piece of artwork – For further availability please contact the gallery.